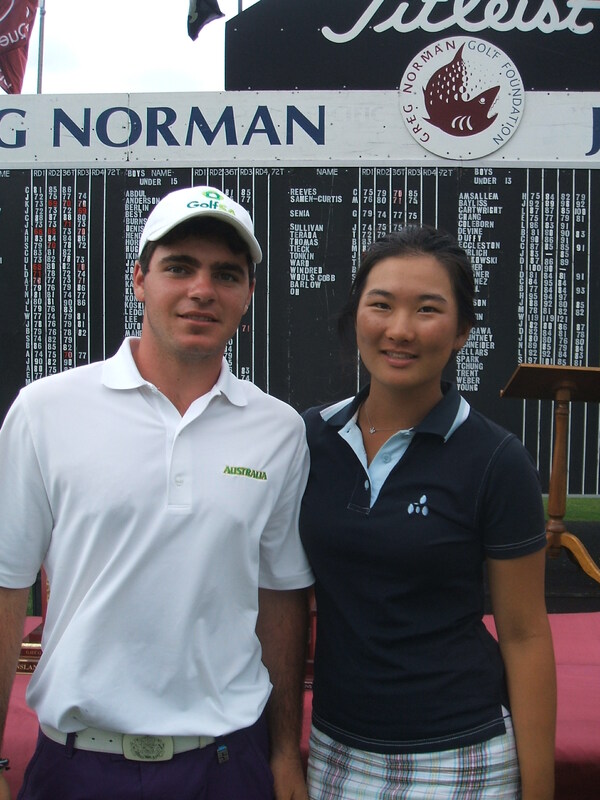 Greg Norman Junior Masters winners Anthony Murdaca and Su Hyun Oh. RECORDS are meant to be broken and Su Hyun Oh of Kingswood Golf Club in Victoria did just that at the Greg Norman Junior Masters at Coolangatta and Tweed Heads Golf Club. Playing in the 15 years and under division, Oh beat all-comers with rounds of 71-71-69-70 for a 281 total. She finished 11-under-par and seven strokes ahead of 2009 winner Annie Choi of Robina Woods Golf Club. In the boys’ championship, Anthony Murdaca (Grange, South Australia) fired rounds of 68-68-73-70 for a 279 total (nine-under-par) and a one shot win over French Polynesia’s Teremoana Beaucousin, who made up some ground on the final day when he aced the 179m seventh hole on the River Course. French Polynesia also won the International teams’ event while Victoria took out the Interstate teams, Gold Coast Golf Association the Queensland Inter-district teams with the Graham Marsh Junior Golf Foundation taking out the Inter Foundation Teams event. More than 220 junior golfers participated in the 21st Greg Norman Junior Masters. PLAYING golf and being a member of a golf club in Australia is inexpensive, according to US PGA Tour star John Senden. 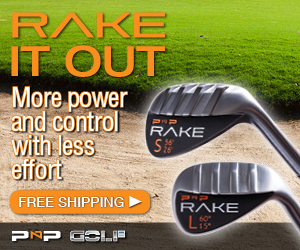 “It is cheap to play golf in Australia,” Senden said. “A lot of people don’t realise that. “To be a member of a great golf club in Australia will cost between $1000 and $3000 whereas in the US, especially Florida and Texas, you are paying 10 times that amount. 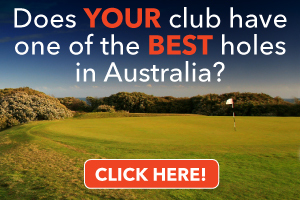 “We do get cheap golf in Australia even though we think it’s expensive to play. 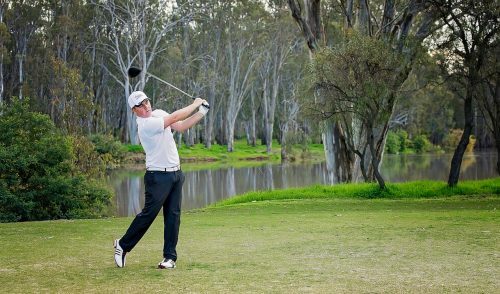 BONNIE Doon Golf Club stalwart and top amateur David Meredith reckons Steve Williams is the best caddie in the business – bar none. Meredith, who caddied for 1981 Australian Open champion Bill Rogers, first met Williams in the mid-1970s. In fact, he helped Williams get his first assignment in Australia. “I have known Steve for more than 30 years,” he said. “I went to caddie for Bill Rogers and I got Steve his first caddie job. “I was sitting beside him and I asked the caddie master to get him a decent player to caddie for and I think it was Ian Baker-Finch. “He has never forgotten it. I met up with him again at the recent Australian Open,” said Meredith, who has been the locker room attendant at the past five Australian Opens. “We chatted and he suggested when there was an opportunity we should get together for dinner. “Steve’s very respectful, handles himself well and was very nice to me in the locker room. Of course, Williams has worked with some of the biggest names in golf including Greg Norman, Raymond Floyd and Tiger Woods. These days he’s on Adam Scott’s bag. IT took a while, but the ETS hole-in-one promotion, exclusive to Keperra Country Golf Club members, has clicked into gear. The promotion kicked off in November and at first the members were a little “gun shy” but come December and it was raining aces with three in 11 days including two on the same day (December 14). John Bramich got the ball rolling on December 4 and his story almost suggests there may well have been a hint of some divine intervention. Ten days later Robert Addison, a 38-year member, got into the act when he aced the par-3 fourth hole using his trusty three-wood. It was the perfect strike. The ball landed on the front of the green, rolled up and rattled the pin before dropping in to the cup. The feat created plenty of excitement among his playing partners. Keith Howells, of the ETS group, personally initiated the sponsorship with KCGC and he was ecstatic to witness the winning of one of the ETS sponsorship packages. It was Addison’s third hole-in-one at Keperra CGC. Later in the day, Ken Williamson aced the par-3 27th hole using a five-iron. It was his first ever ace. One of his playing partners, Tony Streeton, still can’t believe he birdied the hole to collect four stableford points and still lost the bet to Ken’s five pointer. Each player will receive a trophy as a momentum and an overnight stay at the Crowne Plaza Pelican Waters Golf Resort and Spa on the Sunshine Coast. The ETS “play-and-pamper package” is valued at up to $400. Well known married Queensland PGA teaching duo Lee and Pete Harrington are making the move this month from Carrara Golf Course to the Palm Meadows Driving Range. A soft opening day is scheduled on February 5 with the Grand Opening’s full schedule of events being held on February 26, from 9am – 3pm. 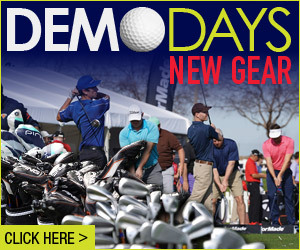 With over 40 years of teaching between them they can help you achieve your goals in all aspects of the game of golf. They provide access to world leading technology for teaching, fitting and training with products such as Foresight and Somax. The Golf School is also the only facility in Australia certified as a SwingModel Teaching Facility. New South Wales Golf Club has completed a major greens resurfacing project which will further enhance the playing experience for members and guests. Over the last several years, the course faced serious challenges with its predominantly poa greens, some which were over 20 years old. After researching and studying the growing habits of several species, the decision to use ‘Mackenzie bent’ grass was made by the Board with construction beginning in August and completed in December 2011. Twelve of the greens were seeded and six were turfed from the club’s recently expanded nursery. This combination allowed for a very quick turn around with extremely good results. All of the greens work was undertaken in-house by the Course Superintendent and his staff. While the resurfacing program was in progress, a number of greens were slightly modified to defend themselves in heavy winds and provide more pin placements, while maintaining their traditional character. This period also gave the opportunity to redesign the green site of holes three and four and also add some more character to the fourth fairway. Greg Norman’s organisation Greg Norman Golf Course Design, who have been working with the club for over 10 years as consulting architects, assisted with this project. Barry Breen, the club’s President explained: “I am extremely pleased with the outcome of this project. In cooler than expected climate conditions, the greens have grown in at an exceptional rate. We are delighted to see the new bent greens putting so well and requiring less maintenance in the long run”. NSW Golf Club is pleased to have the course in such terrific condition going into summer and is excited about the proposition of linking sensational playing surfaces with the outstanding views and natural setting that playing La Perouse offers. The 2012 Queensland Golf Industry Awards Dinner and the Queensland Golf Forum have been announced to both be held on Tuesday 13th March 2012. The golf forum to be held at Victoria Park Golf Complex from 9am-4pm and the awards dinner that night, presented by the PGA – Queensland Division, at The Sebel & Citigate King George Square, both located in Brisbane. The golf forum will cover several topics of interest for the golf industry, such as Volunteer Management, Industrial Relations, Risk Management, Member Loyalty, Junior Golf and a TBD Key Note Speaker. The perfect way to cap off the day will be by then attending the annual Awards dinner and celebrate another successful year of Golf in Queensland with fellow industry representatives and to also recognise the results and achievements by members of Queensland’s four major golfing bodies. Guests will be treated to a three course meal, drinks, entertainment and we will also welcome the 2011 graduating class of Queensland PGA Trainees. Visit the event section on www.golfqueensland.org.au for further information. US-based STX Golf has formed a strategic partnership with Global Sports International (GSI) in Australia as part of their new global strategy to see STX Putters distributed on all five continents and with a reinvigorated Tour presence. According to GSI CEO Sean Kirschenberg the putter market has been ‘flat’ for some time now, both in terms of business and product innovation. He sees STX as very much the “coming thing” with a fresh and exciting approach, and a great story to match. 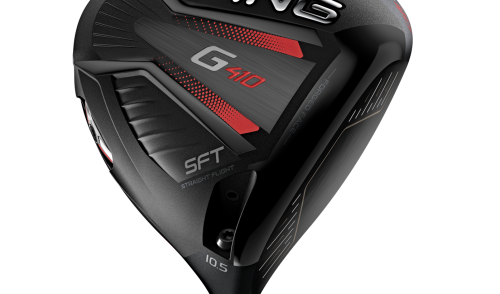 As STX strives to educate new markets as to their design and putting performance philosophy, GSI’s own strength of actively educating the trade and end-user golf markets is another good fit. 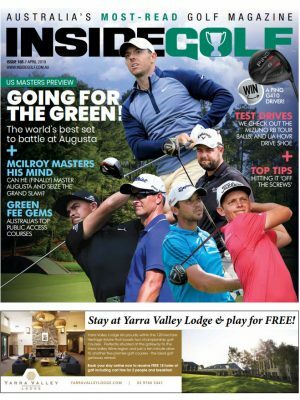 With over 75 accounts across Australia & New Zealand GSI also prides itself on high standards of educating the golf professionals they serve, so there’s more common ground there. STX is also a good complement to GSI’s existing product offering, including the national franchise for the legendary Henry-Griffitts custom-fitting system. The person responsible for GSI’s demo Days (around 200 events each year) is Paul Buchanan, and it is his unique approach to custom-fitting golf clubs, and putters in particular, that drew the Australian business to STX Putters in the first instance. Kirschenberg and Buchanan see STX as very much the Thinking Golfer’s Putter that will only enhance GSI’s reputation as the unchallenged Go-To people in Australian custom-fitting. Initially, GSI will offer a range of 6 STX Putters in accordance with Buchanan’s ethos of Path and Linear putter types. Royal Canberra Golf Club announced the appointment of course architects Ogilvy Clayton to prepare a master plan for the Club. He noted that whilst the exact timetable has yet to be finalised, Members will be consulted during the process and could expect draft plans to be available for review by March / April 2012. 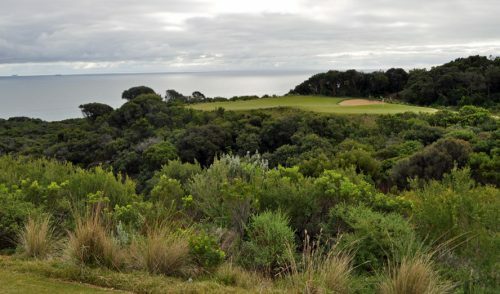 Any major works would take place after the Australian Women’s Open in February 2013 and would be subject to Member approval. One Response to "In Brief: Aussie state news"